New York is one of only three states in the U.S. that allows spousal refusal. Spousal refusal is a planning option that protects a couple’s assets and allows an incapacitated spouse to qualify for Medicaid. To be eligible for Medicaid in New York, an individual cannot have more than $13,800 in non-exempt property, which is often a problem for married couples. However, there is an alternative way to qualify for Medicaid benefits – spousal refusal. Under New York law, the spouse who does not reside in the nursing home (known as the “community spouse”) is allowed to keep his or her assets if spousal refusal is exercised. The community spouse can invoke spousal refusal by signing a statement refusing to contribute income or resources to the spouse who is residing in an institution and receiving medical care. If the community spouse chooses to do this, the Medicaid agency is then required to disregard the community spouse’s income or resources when determining the eligibility of the spouse in an institution. Doing so will allow the community spouse to continue supporting himself or herself without fear of impoverishment. Spousal refusal can work for couples as a last minute planning option, and the spouse in need (the incapacitated spouse residing in the institution) can start receiving benefits almost immediately. However, this planning option is not without cost. The Medicaid agency can choose to commence proceedings and attempt to force the community spouse to support the spouse in the institution. The agency can also file a claim to receive reimbursement from the community spouse’s estate once he or she has passed away. These planning options should be discussed with your elder law attorney. 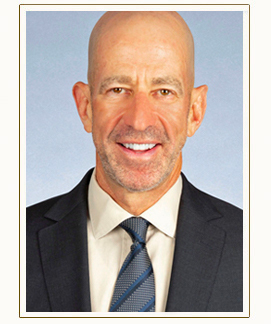 Bernard Krooks is a New York Elder Law and New York Estate Planning lawyer with offices in White Plains, Fishkill, and New York, New York. To learn more, visit Littmankrooks.com. This entry was posted on Thursday, June 24th, 2010 at 10:59 am	and is filed under Elder Law, Medicaid. You can follow any responses to this entry through the RSS 2.0 feed. Responses are currently closed, but you can trackback from your own site.